SAP as we all know is a market leader as far as digitalization is concerned. 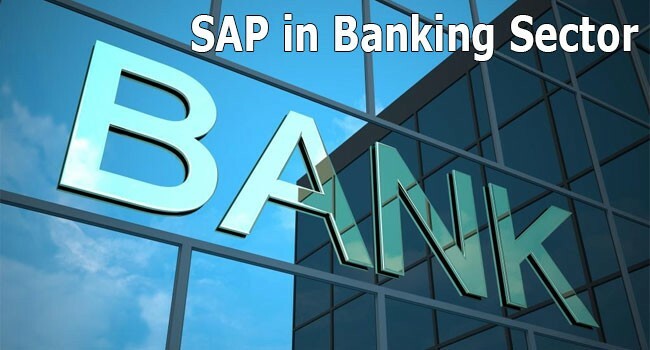 SAP (Systems, Applications, Products in Data Processing) has established itself as an extremely strong global player in the field of Banking and Financial Services Industry. More than 19,600 companies dealing in financial services have been benefitted by utilizing the innovative thought process of SAP which spans across 150 countries in the last 40 years. The brand is making a conscious effort to meet the ever growing needs of the banking customers. SAP is looking at tapping the small finance banks and will help them in their journey towards digital transformation. The company has received a go ahead from the Reserve Bank of India (RBI) for reaching out to the non-banking entities. Mr. Avinash Purwar, Vice President, Global Partner Operations, SAP India has stated “I am extremely positive about the success of these financial solutions, which will also provide freedom, security, convenience and reliability to millions of consumers”. Inappropriate usage of technology- people are hard pressed for time in this fast world and don’t have the time to visit a bank for planning their investments and savings. We still live in a world where quite a few number of banks don’t offer online banking as a result of which quite a few people avoid utilizing the services offered by them irrespective of how good those are. Inaccessibility of services: Quite a few of the services being provided by the small finance banks and the non-banking companies are still inaccessible for the general public, which leads to an overall failure of such entities. Large un-banking population: there are still many people especially in the rural side who are not aware of the banks or financial institutions. They still prefer to keep all the cash in the house along with their belongings. This is loss to both the individual as well as to the financial sector of the country. Unaffordability of services: the services being provided by the small finance banks, banks are still unaffordable for many people because of which they hesitate in availing these services. Scarce banking facilities in remote areas: There are still many places in the remote areas where one does not get to see a bank where people can safely deposit cash and keep their belongings safely without any fear or any loss or theft. Manual work effort: Many banks still follow the manual way of working. One can see their officers keying the details manually in a register, leading to loss of time and effort being wasted. Lesser volumes being handled: Thanks to the manual work effort being done in a few banks the amount of volume being handled is quite small thus leading to a loss in the overall banking operations of the nation as a whole. Lack of proper security measures: There are quite a few banks which are not adopting proper security measures which is seen as a possible threat to the savings of the local masses and because of which people are hesitant to keep their hard earned savings in the banks. How will SAP help the small Banks and finance Industry in overcoming the present challenges? Digitalization is the key word for SAP: as we all know SAP has always been a market leader in the field of technology. The company is well equipped with the latest technology and resources which makes it a perfect choice for revamping the banking sector. Services such as analytics, mobile banking, digital customer experience and more opportunities for ecommerce will be made available. SAP India also plans to connect SAP Cloud-based financial services tools to payment and small finance banks. Services to be made accessible: With the help of technology, SAP aims at making the services being offered by the small finance banks and the non-banking sector much more accessible for the general public. Growing the size of the banking population: SAP plans to increase the number of people dealing with banks by ways and means of services which are lucrative as well as being affordable for the pocket of the common man. Extending coverage to the remote geographies: Thanks to technology and the innovative solutions SAP is planning to cover all those areas which have been by now untouched by the present banking sector. Features related to payment and small banks will be able to quickly implement their mobile financial services to previously unbanked customers in remote areas. This will eventually boost the financial growth of the country. Going the automated way: by using technology and the appropriate tools SAP aims at automating most of the banking operations. This will surely make the system more efficient and improve the overall state of the banking sector. Large volumes to the managed: by virtue of using the latest technology based solutions and by automation the amount of volume which can be managed can be enormous, eventually benefitting the banking sector. Robust security measures: The security measures being adopted by SAP which will quite effective and instil confidence in the minds of the people for safe online banking, such as the introduction of firewalls will be very good. Improving the life of the common man: SAP aims at improving the overall quality of life of the common man. By providing affordable services for all classes of people the company will certainly be able to improve the overall economic condition of the country. Integration of various entities: The solutions being built by SAP will be merging different entities in the banking ecosystem, such as those of agent/partner networks and the same will be extended through smart phones, phones, and online portals. For more than 40 years in India, SAP has efficaciously executed both the core banking in Adarsh credit co-operative society Ltd and the SAP Mobile Platform (SMP). State bank of India, the largest public sector bank State Bank of India (SBI) has implemented the SAP platform in less than six months for its mobile wallet solution ‘SBI Buddy’. With the strategies SAP has in mind for improving the banking operation in the country we are quite certain that the economic condition of the masses will improve significantly.